Holy moly! Your projects are just too darn cute! I'm so glad I ordered this candy caddy before it sold out. 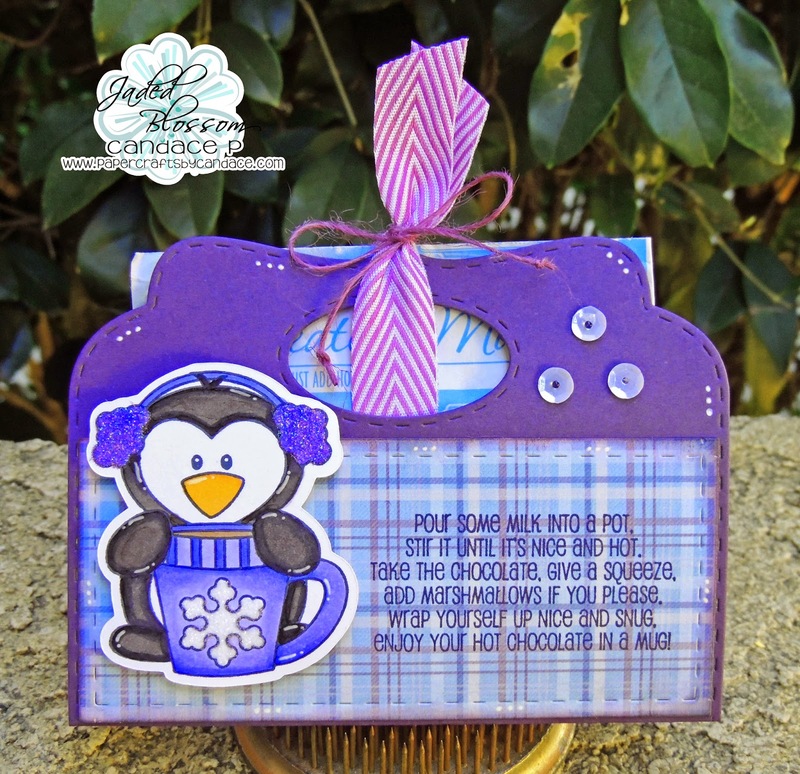 The possibilities are endless and I love that it will hold the gift card die as well. So super cute!!!! I am so happy I bought this die! Thanks for the crafty inspiration!!! 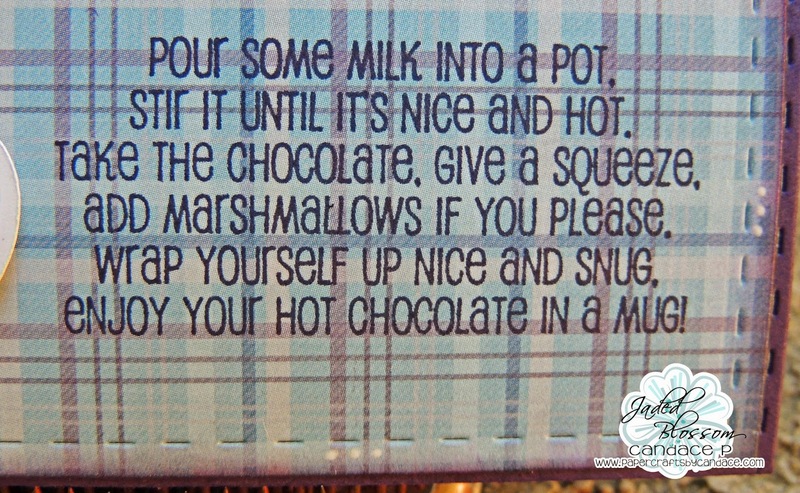 I am so making the hot cocoa treats. so so cute! The possibilities are endless with this die. I can't wait to try it. Love this another must I got to have!! Love these! Your penguin is adorable and this die is amazing! Love all of them. Penguin rocks! Super cute but love all your projects! I am in love with this die. There are so many possibilities! Thanks for sharing you awesome projects! 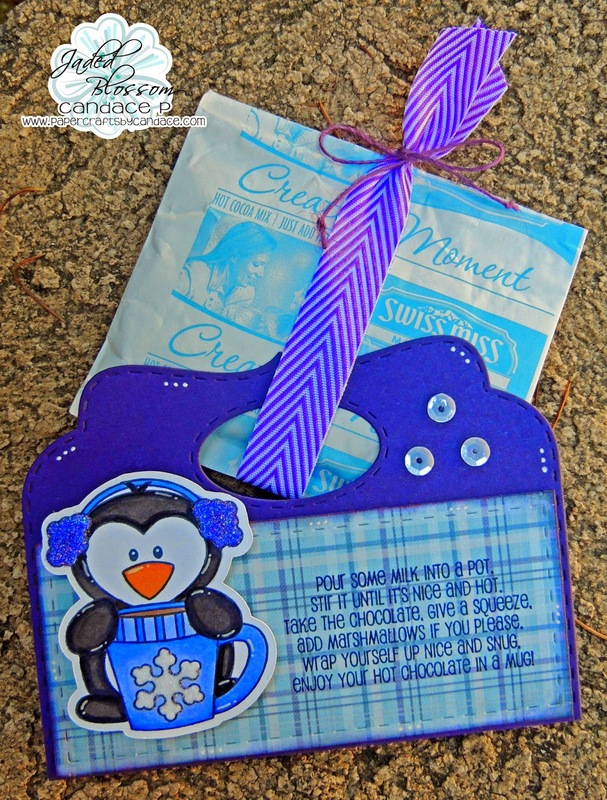 Oh too cute!-- love that you're already crafting for fall and winter :) I am NOT ready for MN winter but love the ideas! Oh so flipping adorable. Love the inspiration! Such fun projects! I just love your mummy and pumpkin, soo creative! 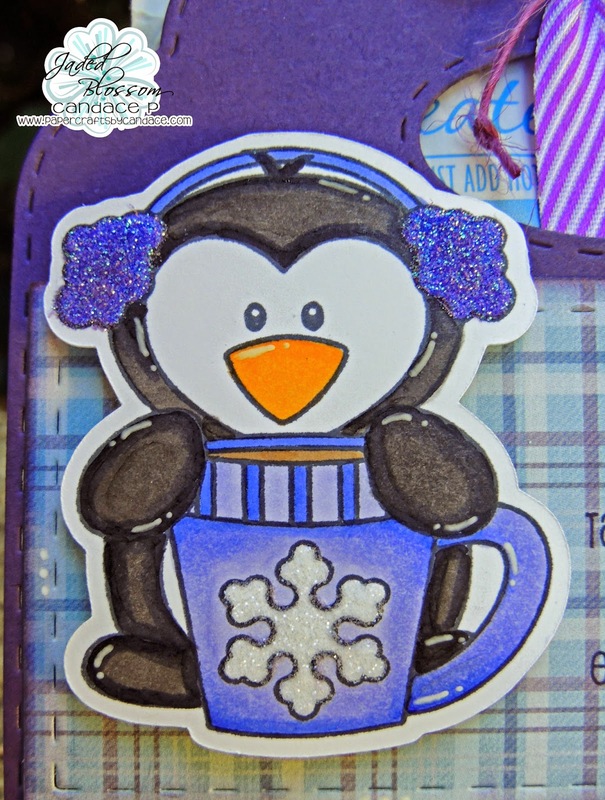 And, your sweet little penguin is cute as can be - love the colors! OH my GOSH!! I love every one of you projects!! LOVE how you used all the dies on the pumpkin and the card mat die on your hot cocoa slider. All of your projects are AWESOME ... Today's is both CUTE and CLEVER (as always)!! Very cute Candace. I love it. Now my list is growing again...I'm going to have to order again before the sale is over! This is so cool! I love how you used the die to create a cocoa slider! Nicely done. I can imagine using it for tea packets too. Love all your projects, the cocoa slider is great!! The Candy Caddy is so cute! Love your project! This is just too cute!! Love all the projects! The pumpkin one is my fave! loving the penguin, great colors! 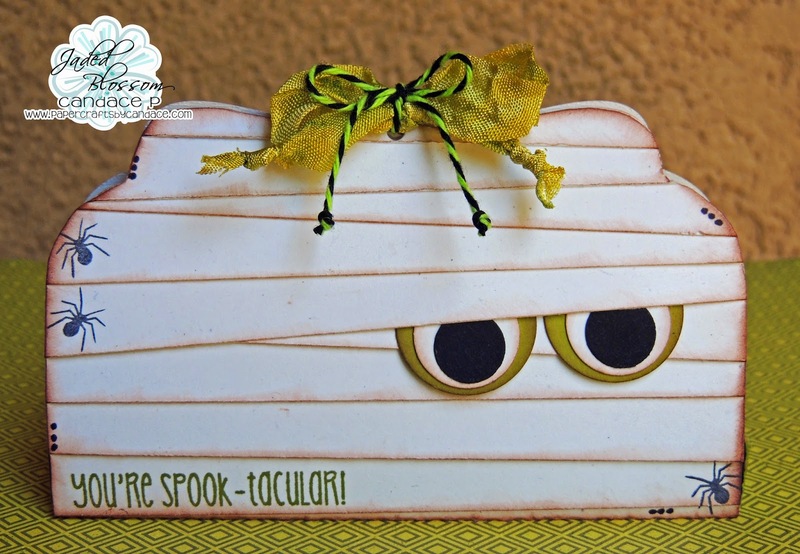 Love all your projects...especially the adorable mummy!!! All of your projects were just wonderful. If I had to pick a favorite, it would be the ghost. Love it!! I love the mummy! That is awesome! I just love this die. Some many possiblitlies. Super cute... Reminds me of my gramma, she loved penguins! Love the glitter. This is just too cute and I just Love the colors.